When the market for any form of perceived value suddenly seizes up, its owners automatically gravitate toward stores of value they perceive are more stable, sane, and secure. Over a medium-term time frame, this has often meant shifting from risk assets to cash. To the US dollar. A fiat currency. A form of transaction which has always eventually failed in its every historic incarnation. Over a longer-term time frame, only gold has reliably stored value for generations. When the US dollar falls apart, don’t be surprised if the US government itself suddenly finds itself keenly interested in gold once again. 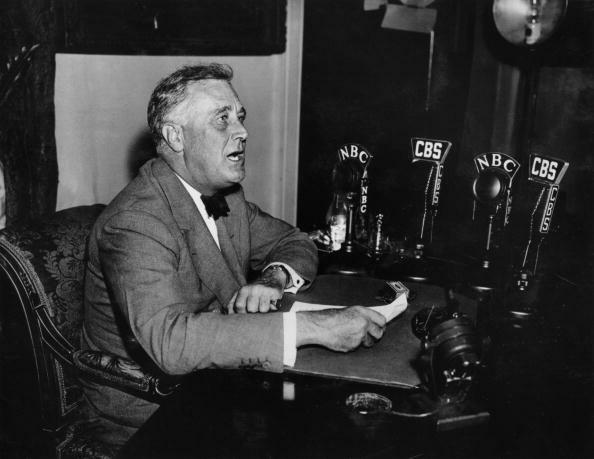 This article explores President Roosevelt’s gold policy in the wake of the Great Depression. Toward the end of the presentation, the president said that in order to raise prices, he was adopting a new policy: He was establishing a market for gold in the United States. The Reconstruction Finance Corporation would buy newly minted gold at prices determined after consultation with the secretary of the Treasury and the president. The news of the new gold-buying program was received both in the U.S. and in world financial centers with calm bewilderment. No one knew exactly how the program would work, or how the purchase price would evolve through time. More important, no one knew if the new buying program would be able to move the international market for gold, exchange rates or prices. Markets did not panic; they waited.